The 20-year-old Greek was given a time violation in the first game, yet was undeterred, saving all 12 break points he faced - including four set points in the second - to march into the last eight. The magnificent world number 15 hit 62 winners and made 36 unforced errors to the 20-time grand slam champion's 55 in an outstanding performance at a packed Rod Laver Arena on Sunday night. Tsitsipas will now face Roberto Bautista Agut after ending Federer's quest to become the first man to win the tournament seven times and claim the 100th ATP tour title of his astonishing career. The aggressive Tsitsipas took a 2-0 lead in the tie-break but Federer saved three set points, then won what was his fourth. However, a pulsating breaker ended on a slightly sour note as a spectator called 'out' during a point the defending champion won to take the set. 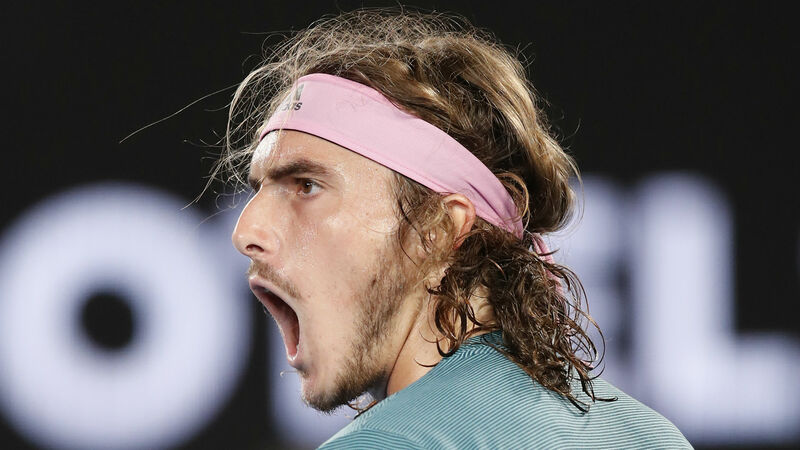 Tsitsipas made the 37-year-old pay for so many missed opportunities, continuing to come forward as he claimed the first two points of another breaker and won it with a searing forehand winner after being pegged back at 3-3 - Federer dropping a set for the first time in the tournament.